With summer vacation looming, chances are many of you will find yourselves in the car for an extended period of time. Long car rides can get boring for everyone, but families, in particular, often face the challenge of endless “are we there yets?” and “he’s bothering me” and “waaaaaaaaa,” etc., ad infinitum. To keep your kids engaged, or, at the very least distracted, try listening to an audiobook that will entertain the whole family. Many beloved series can feel like a whole new experience when listened to on audiobook. The best audiobook narrators are superb actors who can slip in and out of different character voices without the listener even noticing, and some audiobooks are even given a full cast who will voice-act the whole book. I am a huge fan of audiobooks and have made it a personal goal to encourage people to remember them as a great source of entertainment. Your local library is a great place to pick up audiobooks on cd. Many libraries also offer digital downloads that you can play through your smartphone or m3 player. If you insist on paying, check iTunes or Amazon.com for downloadable titles. 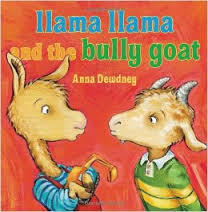 Anna Dewdney herself reads several of her pleasingly rhymed story books about little Llama and his adventures navigating the world of sharing, shopping with mama, bedtime and preschool bullies. Each book runs about 4 minutes long, which is just enough to distract your toddler from the tantrum he/she may be having in the back seat. Ideal for kids aged 18 months – 3 years old. Read by a hilarious gentleman who sounds alarmingly like the actor who plays Dumbledore in the Harry Potter movies (It’s not him, I checked!) , this humorous version of the Three Little Pigs runs for about 11 minutes and will keep your 2- 4 year olds silent and engaged. I know it does not sound like a long time, but it works wonders for breaking up moments of tension or whining brought on by boredom in the car. Other audio editions of James Marshall’s fairy tales (although not quite as entertaining as this one) are also available through iTunes. Ideal for kids aged 3-6 years old. 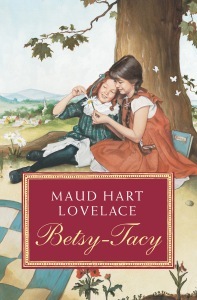 Betsy and Tacy first meet at Betsy’s fifth birthday party and become such close friends that everyone starts to think of them as one person: Betsy-Tacy. This is a very sweet and charming series about two kids having adventures in their neighborhood in the early part of the 20th century. Betsy-Tacy is the first book in a series that takes you through the girls’ lives all the way up to their weddings. Will appeal to fans of The Penderwicks, Ivy and Bean, and Little House on the Prairie. If you can find it, there is a wonderful audio version read by Sutton Foster, the broadway and television star. It doesn’t matter if you have already read these books, the Little House on the Prairie series, as performed by the actress Cherry Jones, will appeal to your entire family. 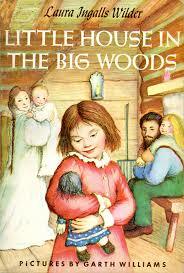 Kids as young as five can enjoy this series, as Wilder did her best to provide almost non-stop action, particularly in the first two books: Little House in the Big Woods and Little House on the Prairie. The many descriptions of Pa’s fiddle playing are enhanced by an actual fiddle performance, which, combined with Jones’ rich narration, makes for a listening experience filled with nuance and wonder. 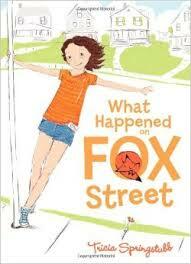 11-year old Mo Wren has lived on Fox Street her whole life with her father and her little sister. Every year, Mo looks forward to when her best friend Mercedes comes to stay with her grandmother across the street. One summer, a series of unexpected changes and mysterious happenings threaten to change the world as Mo knows it. The combination of an interesting plot and lovable, fully realized characters make this an unforgettable and bittersweet tale about growing up. Ideal for kids aged 7-12. 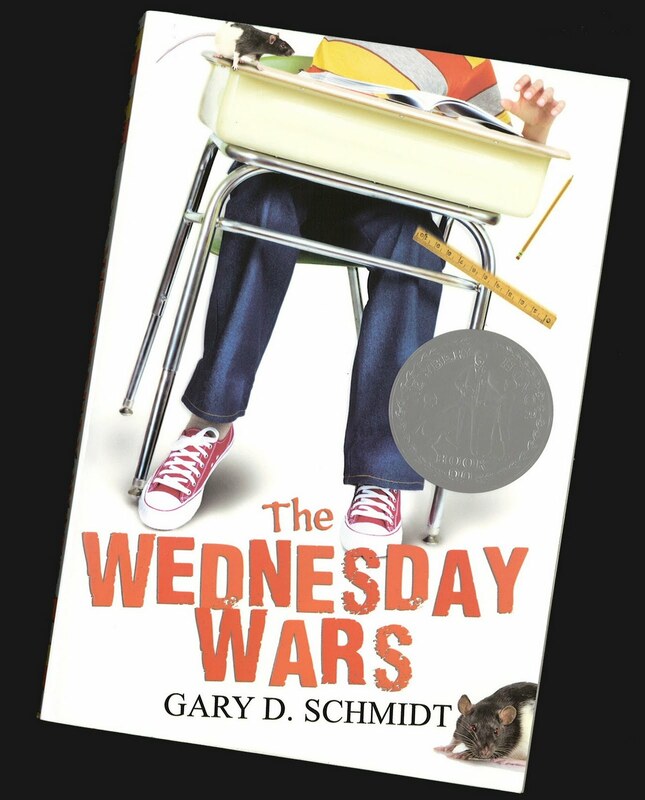 Schmidt’s two coming of age novels about middle school boys are absolutely stellar.The Wednesday Wars focuses on Holling HoodHood, a seventh grader who has to spend Wednesday afternoons alone with his teacher while his classmates attend religious instruction. Unable to read his teacher, Mrs. Baker, Holling is convinced that she hates him. It is 1967 in suburban upstate New York and the world feels on the verge of exploding. Schmidt manages to weave together many themes in this thoroughly moving and entertaining book. If the Wednesday Wars is good, Okay for Now is outstanding. Middle schooler Doug Swieteck doesn’t care if you like him or not. A tough kid from a tough family, Doug goes into every situation assuming that people think the worst of him. When he discovers an affection for the work of John James Audubon and develops a slow friendship with Lil Spicer, a girl in his town, Doug starts to open up, little by little, and we are reminded that there is usually much more to “troubled” kids then we may realize. This book will simultaneously break and warm your heart. Both audiobooks are narrated well by young, male actors. Ideal for kids aged 11 and up. I hardly need to tell you what this series is about. 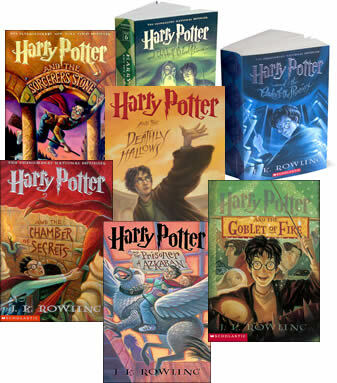 By now, most people know the story of Harry Potter, whether they have read the books or not. What you may not know is how wonderful the audiobook versions are. Actor Jim Dale narrated all seven books and developed detailed and distinct voices for each of the many many characters in Rowling’s story. No matter how well you or your kids know the books, I can promise that these audio versions will sweep you away and provide a new Harry Potter experience. Ideal for kids aged 10 and up. (This is my humble opinion, but the perfect age for Harry Potter is constantly up for debate). A full cast acts out the many narratives in this wonderful, harrowing recreation of the doomed voyage of the Titanic. 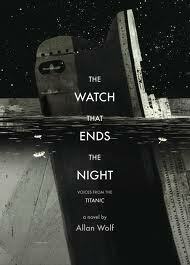 Featuring a wide variety of stories, from the captain of the ship all the way down to a bilge rat, The Watch that Ends the Night is an unforgettable experience that will entertain kids and their grown ups. Be warned that it is harrowing, as not all of the voices survive. Descriptions of the recovery of bodies frozen in the sea are featured throughout and may upset younger or more sensitive listeners. However, older elementary aged kids familiar with the Titanic and other large scale disasters will be enthralled with this well-done story. 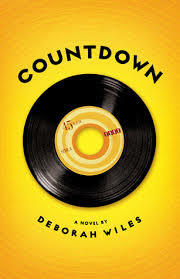 Countdown and Revolution share some characters but are two separate stories told during pivotal moments in 1960s America. Countdown centers around Franny Chapman’s experience living in Maryland in 1962, as the events of the Cuban Missile Crisis playout. 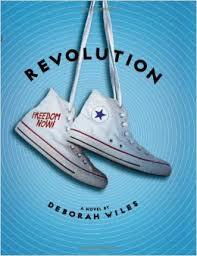 Revolution takes place in Greenwood, Mississippi during the summer of 1964, otherwise known as the Freedom Summer. Twelve year-old Sunny is thrust into the middle of the tumultuous events of that summer as volunteers pour into town to help register black voters are were met with considerable resistance and violence from the townspeople–many of whom Sunny has known her whole life. What sets these stories apart is the creative use of primary source material throughout. Actors read speeches, excerpts from memoirs and newspaper articles, and even recreate popular ads and jingles to fully evoke the era. Both of these stories are wonderful, affecting and engaging audio books, particularly Revolution, which brought me to tears more than once. Listening to 12-year old Sunny experience the violence of a civil war protest right in front of her eyes, and watching her struggle to understand how people could behave the way they did, was a powerful emotional experience for me. Ideal for ages 11 and up. 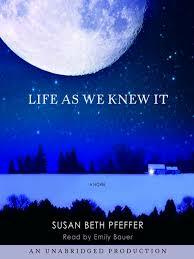 Life as we knew it is a harrowing suspense thriller that follows what happens on earth after an asteroid knocks the moon out of orbit and closer to earth. As the rest of the world experiences catastrophic tsunamis and floods, earthquakes and volcanoes, 10th grader Miranda and her family struggle to survive. The young female narrator reads this story with the perfect amount of urgency and innocence. Your family will beg to stay in the car just to find out what happens. Previous Post Anatomy of a well-rounded summer reading list , or What to read this summer, part 1.